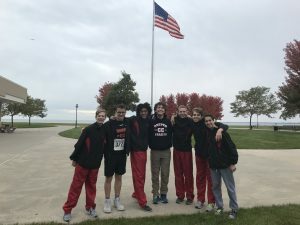 The Roeper Boys placed 5th as a team at Regionals located at Lake St. Clair Metro Park. Roeper placed above Southfield and Oakland Christian avenging a close loss to them at the League Championship a week prior. Maguire Smith, Jonah Mougoue and Ben Wedepohl all had their personal best time in their final meet. Will Hoover placed 6th overall and qualifyied for the State Meet at Michigan International Speedway on Nov. 3rd. Will be challenging for the school record at the State Meet that has been held for over 20 years. Best of luck!